Precision Air Conditioning and Heating, Inc.
"Quality service you can depend on year 'round"
Precision Air Conditioning & Heating Inc. Precision Air Conditioning & Heating, Inc. is committed to your complete satisfaction. By choosing us as your comfort partner, we can help you to make an informed decision when it's time to repair or replace your heating or cooling system. Precision Air Conditioning and Heating, Inc. can install any type or model system that you desire and also mini-split ductless cooling and heating systems. We repair all makes and models, and offer our Precision Maintenance Agreement to keep your system operating at it's optimal performance. We pride ourselves in providing quality work at an affordable price. We accept AMEX, Master Card, Visa, and Discover. 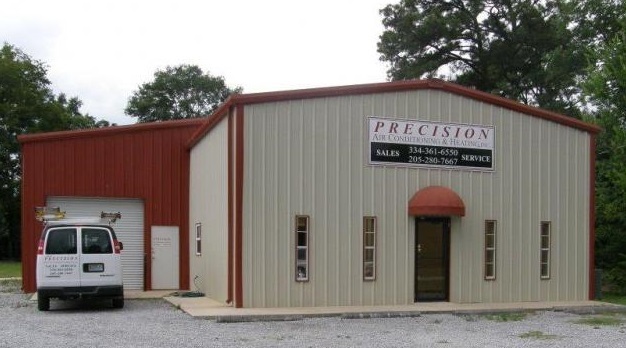 Take the time to navigate our revamped website and discover what Precision can offer you! Precision Air Conditioning & Heating,Inc.